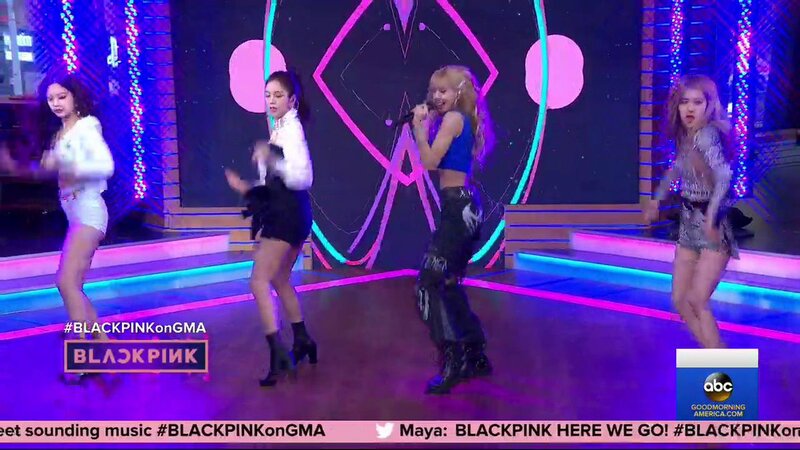 Good Morning America's tweet - "SLAY LADIES 🖤💗 #BLACKPINKonGMSS #BLACKPINK #블랙핑크 #INYOURAREA "
Charisma. Uniqueness. Nerve. Talent. Starpower. Les jambes de Rosé ??? ELLE EST SUPER MAIGRE ??? I could watch this videos 24/7 for the rest of my life. NEED work to be over so I can watch the whole thing when I get home 😭🖤💖!! Can we say BOTS? That is all. I’M SO HERE FOR THIS TAKEOVER! Body rolls for bfast lunch and dinner! Thats it I'm full.